Signed a contract for 24 Typhoons at the end of 2017 including the intention to buy six Hawk aircraft. On June 29 the company announced the sale of nine Hawks. Delivery will start in 2021. ASTRA: Advanced Stability Training and Research Aircraft. The Hawk T1 ASTRA is operated by QintetQ (formerly the Defence Evaluation and Research Agency (DERA) based at TAF Boscombe Down. 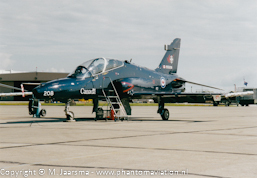 Royal Canadian Air Force 419 squadron CT-155 Finnish Air Force Hawk T51 on approach to Radom Poland in 2009. 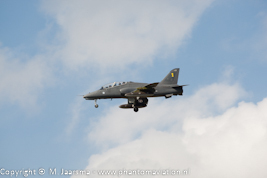 Saudi Air Force Hawk 65 taxiing after display at Zeltweg Austria in 2011. 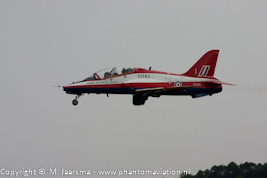 Royal Air Force Hawk T1 ASTRA from the ETPS departing RIAT 2005. 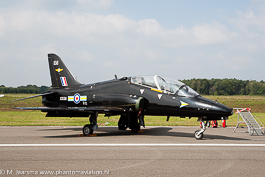 Royal Air Force Hawk T1 from 208 Squadron Kleine-Brogel 2014. 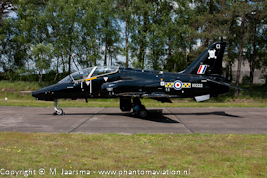 Royal Air Force Hawk T1A 100 Squadron at Weeze (former RAF Laarbruch) 2005. 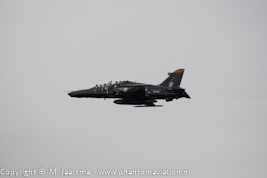 Royal Air Force Hawk T2 operated by 4 squadron departing RIAT 2012. 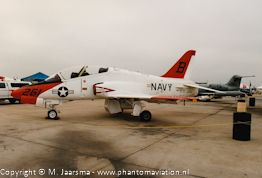 US Navy T-45A at static display NAS Miramar 1996. 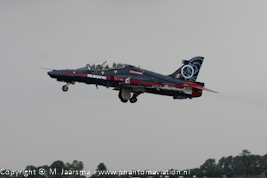 BAe Systems Hawk 100 at RIAT 2005.